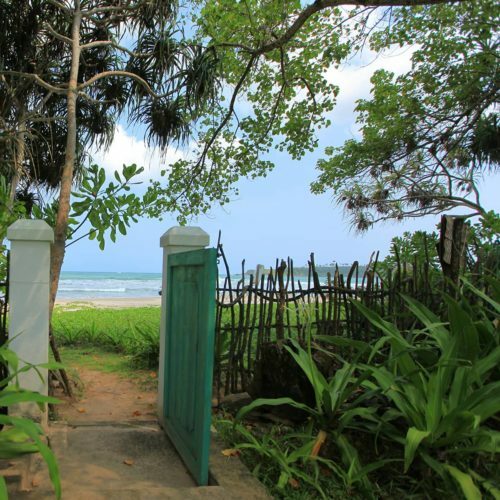 More like a home than a hotel, The Last House is luxurious beach house situated in a private area at the end of Mawella Beach, in Tangalle. Choose to book the Cinnamon Hill Suite, on the upper floor, boasting a private balcony and stunning views of the sea and gardens. The suite is perfect for both couples and families with an adjoining twin room for children. Also on offer are three ensuite rooms, separated from the main house with doors on to the gardens and views of the sea. For the ultimate privacy, it is also possible to book the entire property, which is simply decorated with an eclectic mix of antique and contemporary furniture, accented with bright hues. Enjoy fresh and wholesome seafood in the property's tropical gardens or hire a fishing boat to make the most of its stunning beach-front location. 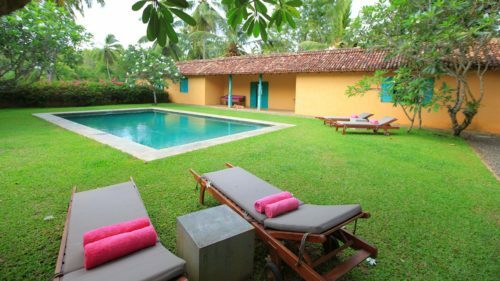 Too small to have its own spa, staff at The Last House can arrange for their favourite specialists to visit and offer a variety of Ayurveda treatments and Thai and Indian massages. Venture further afield to the Mulkingala caves, where a temple and monastery have been carved out of a sheer rock formation surrounded by forest. 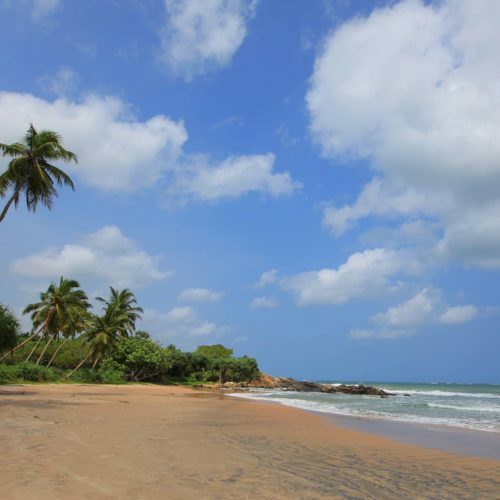 The Dutch fort of Matara is nearby and stunning wildlife experiences, including the world's highest concentration of wild leopards, and Galle's Unesco world heritage site are within 2 hours drive of the hotel.